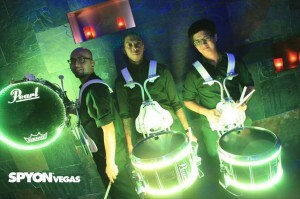 (VVE Drumline), The VVE DRUMLINE is an all-ages drumline whose main purpose is to entertain the masses at any and all events in Las Vegas and the surrounding areas. 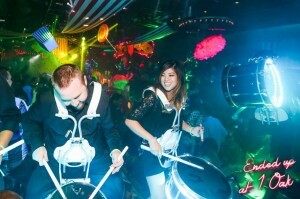 The extremely talented and versatile staff will customize an ideal performance package for your event using a full set of marching percussion instruments. Whether it’s a small (6-8 members), medium (9-12) or a large drumline (13-20), we can customize your performance package to fit your exact needs for any event. We specialize in raising the energy level at general sessions, parades, concerts, movie premiers, convention meetings, private parties, etc. 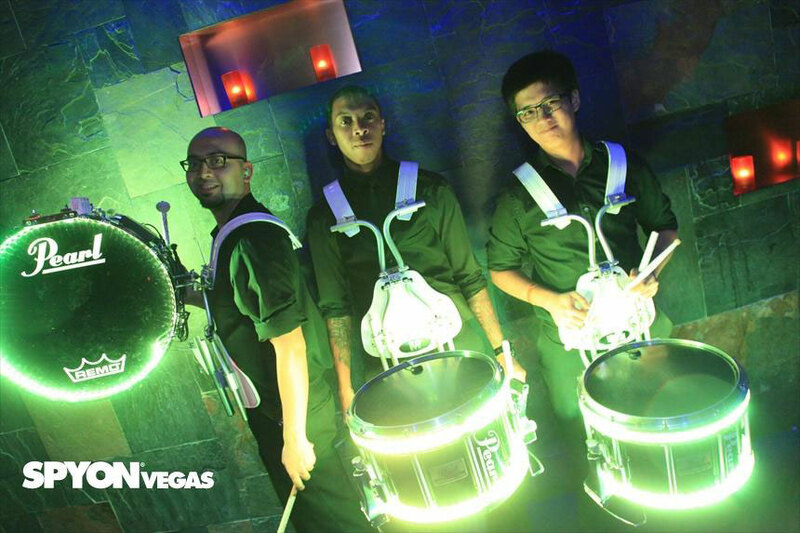 Next time you are in need of some entertainment for any kind of function, let the VVE Drumline customize a performance package for your company today! (VVE Percussion Theater), The VVE Percussion Theater is an ensemble that combines certain elements of marching band percussion (instruments, drill, music) with several characteristics of live theater (props, costumes, acting, story line). The group focuses on assisting players from the ages of 14 to 22, in developing the proper techniques and skills that are required to perform and compete at a very high level in the indoor percussion activity. This ensemble is intended for high school, college, and university students that don’t have the opportunity at their own school to participate in a competitive indoor percussion ensemble. VVPT is an independent highly competitive ensemble that competes regionally in the Southern California Percussion Alliance (www.sc-pa.org), and nationally in the Winter Guard International (www.wgi.org) competitions. VVPT 2013 received the Silver medal in the PIA Class at Winter Guard International’s World Championships with their performance of “Ascend” in Dayton, Ohio on Friday April 19, 2013!!!! They have received medals in their first 3 trips to World Championships (Bronze 2011 & 2012), Congrats VVPT!!! !